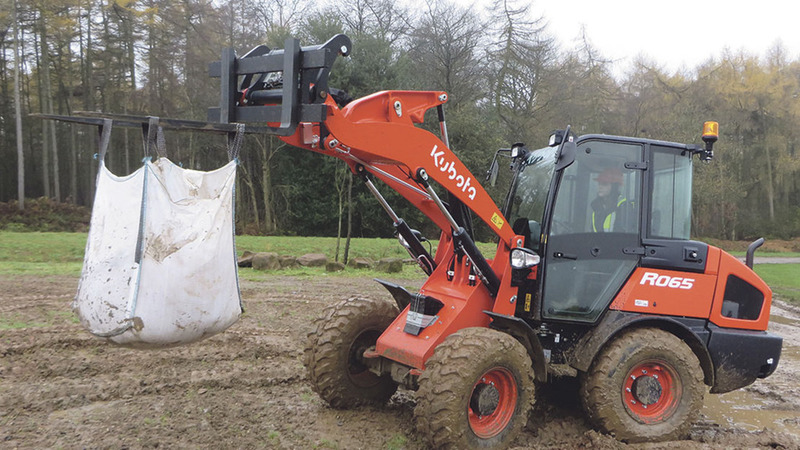 Wheeled loader choice has widened once again with two new ranges from Kubota. Jane Carley reports. Kubota has moved into the wheeled loader market with two new ranges of machines which should appeal to the farming as well as construction industries. Built in Holland by Tobroco and badged by Kubota, the RT series comprises six models all powered by Kubota engines, from 20-44hp. With a wide range of options, business development manager Neil Winfield says that machines will effectively be bespoke to give the combination of hydraulic, control and tyre specifications required for particular tasks, from loading muck and bales to operating high flow implements such as sweepers or feeder buckets. Power from the Stage 3b compliant engines goes through a Bosch Rexroth hydrostatic drive system to four Poclain wheel motors, and the chassis features an integrated counterweight and reinforced pivoting articulation point. A limited slip differential gives more grip in tricky conditions and boosts pushing force, says the manufacturer. The compact machines offer 450-1,500kg lift capacity, with a tipping load of up to 2,100kg and lift height of 2.5m on the largest RT280 loader, which can also travel at up to 25kph. Kuobta is working with specialist attachment manufacturer Exac-one to offer implements including round and square bale handlers, muck buckets and forks and a high tip bucket. The smallest model is only available with a ROPS canopy, but a cab can be specified on the others, and there is a choice of seat plus working and road lights. 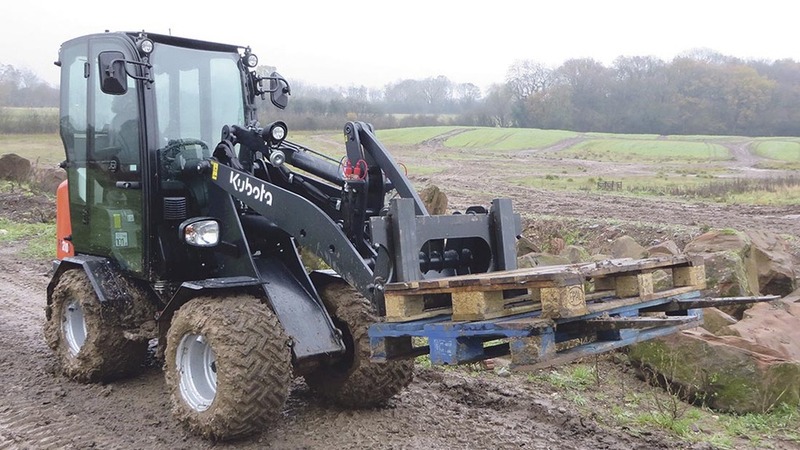 Ride control boom suspension is a useful option for carting muck around uneven yards, says the firm, while other extras include a three-point linkage, hydraulically driven pto and a hydraulic outlet for tools such as breakers. With an overall width of 960mm and height of 2,070m on the smallest RT100 loader, these loaders could come in handy on intensive pig and poultry units or as general run a rounds on farms with traditional buildings too tight for a bigger machine. Prices are from £20,684 to £34,798. Tobroco’s Giant loaders are still available in the UK, supplied by a network of 13 dealers including original importer TRP. Shown in prototype form at the Bauma construction show before being launched in Europe, the R0 series has no firm date for a UK introduction, but could make a useful materials handler for a range of stock farms. An all-Kubota machine, the R065 and R085 loaders take their names from their bucket capacity and are powered by 47.3hp and 62.5hp engines respectively. Still relatively compact at 2.48m high and a minimum of 1,680mm wide, R0 series loaders feature oscillating pivot steering and a parallel loader linkage for improved comfort and steadier, more accurate loading, says the manufacturer. Tipping loads are 3,000kg and 3,600kg. A four-mode hydrostatic transmission allows the operator to prioritise traction or fuel economy, or in attachment mode, to use a fixed accelerator dial next to the control lever to select gentle acceleration in the low speed range. Top travel speed is currently 20kph with a 40kph version being considered for 2016. The R085 model adds an on-demand differential lock to engage the two axles if more traction is required. Extra lift capacity will be offered by the K065 HW to be phased in to replace the K065, giving 1.75 tonne payload on pallet forks. 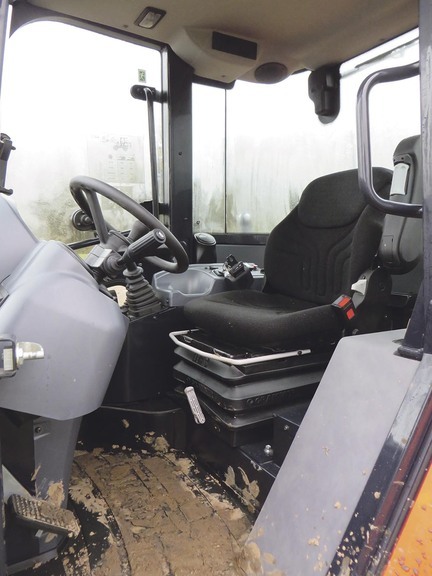 The cab features a Grammer suspended seat, tilting steering column and an adjustable wrist rest by the joystick. Air conditioning is to be offered in 2016, and both models feature Kubota’s anti-theft system. 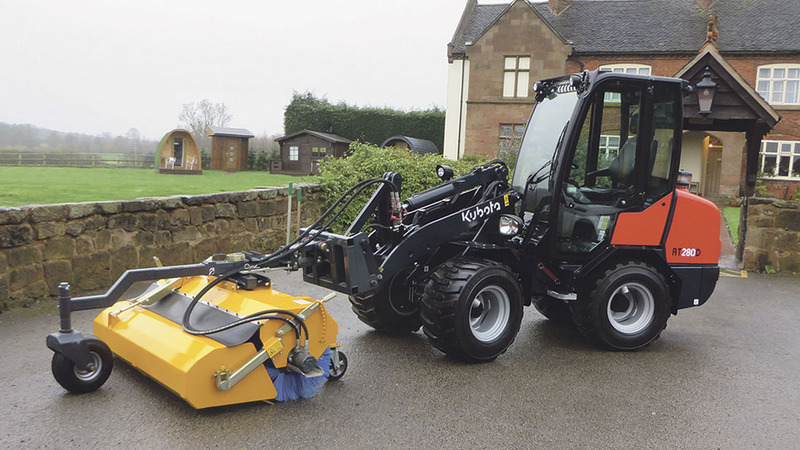 The quick coupler is interchangeable with Volvo attachments, and Kubota offers a range of buckets and pallet forks. R0 loaders can be specified with multipurpose standard or wide tyres, and agricultural or industrial tread tyres. Prices are £39,000 and £46,600 for the two machines. Previous Article NFU election race under way - who is in the frame?